Give the cancer-fighting warrior you know and love a survivor t-shirt that will make them feel stronger than ever. 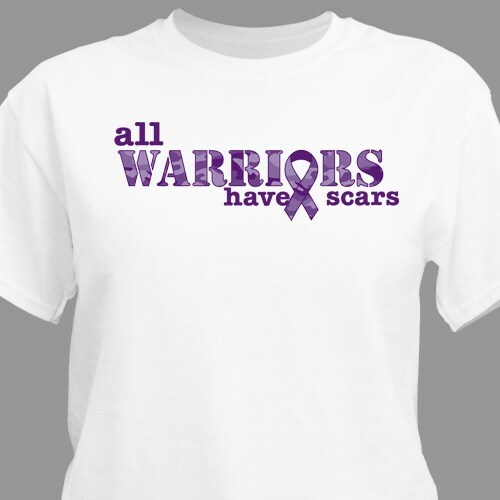 The ones who have fought and conquered a difficult disease or condition are true warriors, and our t-shirt will show that. This warriors design is printed on our 100% cotton, machine washable t-shirt, available in youth sizes XS-L & adult sizes S-3XL. Additional Info Our awareness t-shirts are designed to provide hope and strength to friends and loved ones who may be battling a difficult disease. Give your favorite warrior this t-shirt as a symbol of your support for their fight. Our Cancer Survivor T-Shirt is another apparel item that will inspire hope and strength.